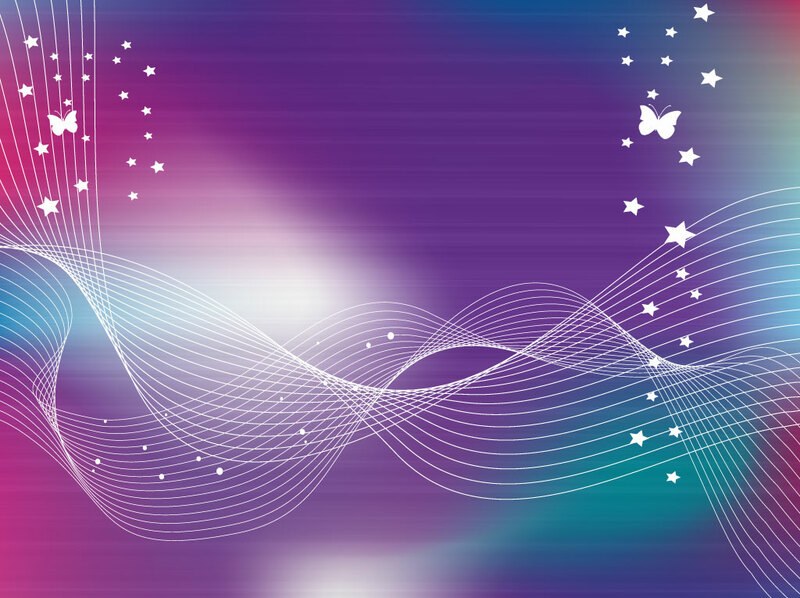 Purple and blue gradient mesh vector background image with white twisted ribbons, little stars, lighting effects and butterflies. Free download for your digital print banners, decorative greeting cards, happy birthday party invitations and custom printed smart phone covers. Tags: Birthday, Bright, Butterflies, Lines, Space, Vector Background, Wireframes.